With few exceptions, State laws don’t allow you to go faster than a posted speed limit or a speed limit defined in the State laws. In general, such speed limits are absolute. It means that driving at a speed over the limit is always illegal. Question 1: When are you allowed to drive faster than a maximum speed limit? CORRECT ANSWER: C. Situations like being tailgated or trying to keep up with traffic flow don’t allow you to drive faster than the speed limit in any state. All states have a basic speed law. The basic speed law says that regardless of State statutes and/or posted speed limit signs, you must always adjust your speed to current conditions and possible hazards. A police officer may decide that you are going too fast for conditions when the road is slick or when you drive through an intersection without slowing down. Question 2: Does a posted speed limit of 65 mph mean that you may drive 65 mph on that highway under all conditions? CORRECT ANSWER: A. 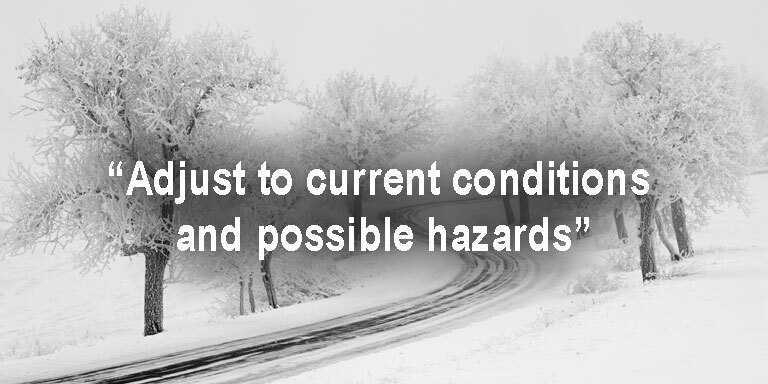 Regardless of posted speed limits, you must adjust your speed to current conditions and possible hazards. 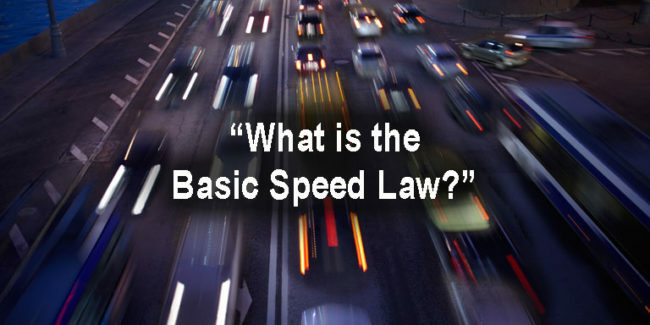 This is the basic speed law. Question 3: What is always a safe speed on two-lane highways? CORRECT ANSWER: D. No speed is safe under all conditions. When approaching and going around a curve. When approaching the crest of a hill. When traveling upon any narrow or winding roadway. When approaching and crossing an intersection or railroad grade crossing. When special hazards exist with respect to pedestrians. When special hazards exist by reason of weather or highway conditions. Your driver’s manual recommends you to slow down when visibility is low. Fog, heavy rain, snow blizzards, and sand/dust storms make it harder to see the road ahead. If you drive too fast, you may not be able to see other vehicles or pedestrians on the road before it’s too late. Driving at the speed limit under these circumstances is not safe. Rain, snow, and ice create slick pavements. Gravel and other roadway conditions can also extend your braking distance. With excessive speed you may not be able to steer safely around curves or objects in the roadway or stop in time. 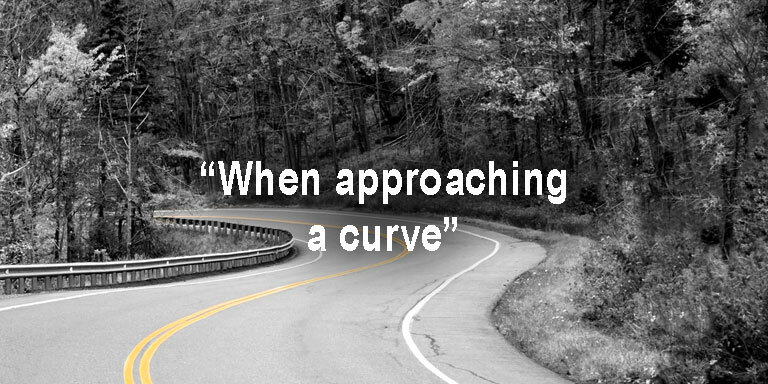 Question 4: What should you do as you approach a curve in the road? Even under normal conditions, you must slow down when you approach curves, the crest of a hill, or intersections where you don’t have a clear view of the road ahead. At higher speeds, the distance your vehicle travels while you are reacting to a problem is greater – and your margin for error is less. If there are pedestrians, bicyclists, and children on or close to the highway, you must also reduce your speed. This is especially true when you approach intersections, school zones, or playgrounds. Always watch for children that may dart out in front of your car. Question 5: What is most important when you adjust to a safe speed? 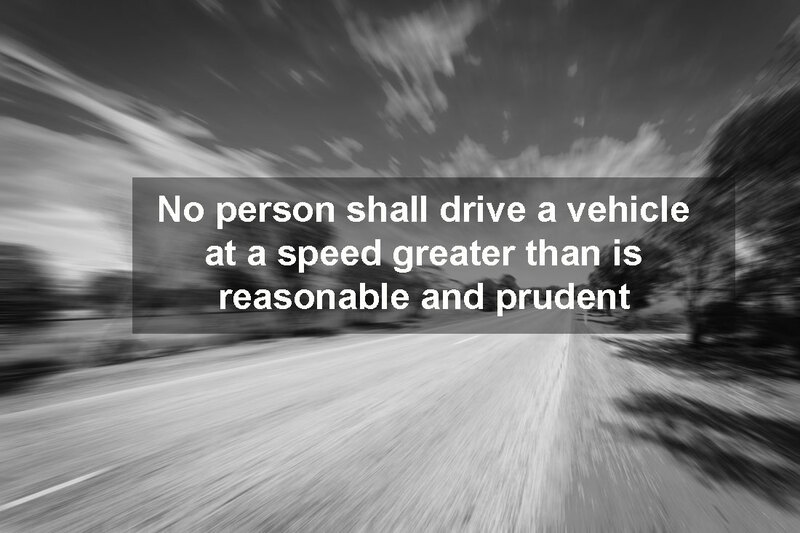 No person shall drive a vehicle at a speed greater than is reasonable and prudent under the conditions, including actual and potential hazards then existing. Consistent with the foregoing, every person shall drive at a safe and appropriate speed when approaching and crossing an intersection or railroad grade crossing, when approaching and going around a curve, when approaching the crest of a hill, when traveling upon any narrow or winding roadway, and when special hazards exist with respect to pedestrians or other traffic or by reason of weather or highway conditions. 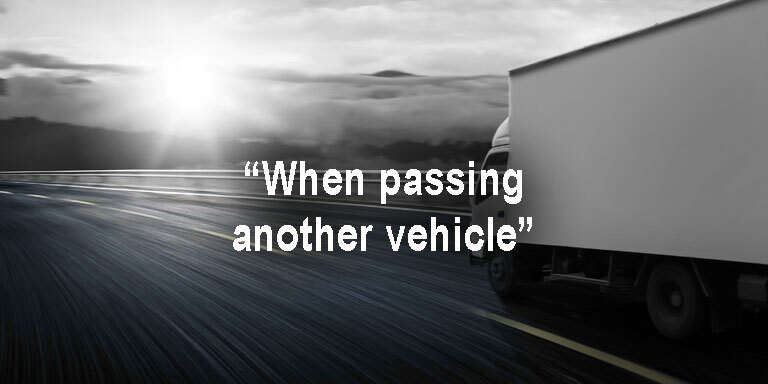 Can You Exceed the Speed Limit When Passing Another Vehicle? The speed limit on two-lane highways with a posted speed limit of 55 mph or higher is increased by 10 mph when the driver is lawfully passing another vehicle in the same direction. You may exceed the speed limit by 10mph when passing on a two-lane road. A person following a vehicle driving at less than the legal maximum speed and desiring to pass such vehicle may exceed the speed limit on highways having only one lane of traffic in each direction, at only such a speed and for only such a distance as is necessary to complete the pass with a reasonable margin of safety. In Texas, Utah, and Rhode Island you can fight a speeding ticket if you prove that your speed was reasonable and prudent. This is also true in a few other states and applies to highways with lower speed limits. Successful defense against such speed ticket are, however, very rare. These scenarios will not show up on your DMV test. 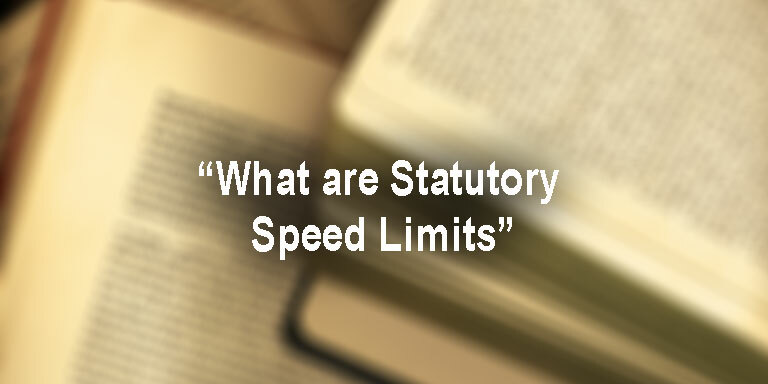 What are Statutory Speed Limits? A statutory speed limit is one specifically provided for under a State’s traffic code. Such limits may vary by highway type or by location. State laws may or may not require that these limits be posted. Look for statuary speed limits in your driver’s manual. They may show up on your DMV test. Even though specific speed limits may have been established in State statutes, laws usually allow either State or local authorities to set highway speed limits above or below the statutory ones. More reading: Summary of State Speed Laws.